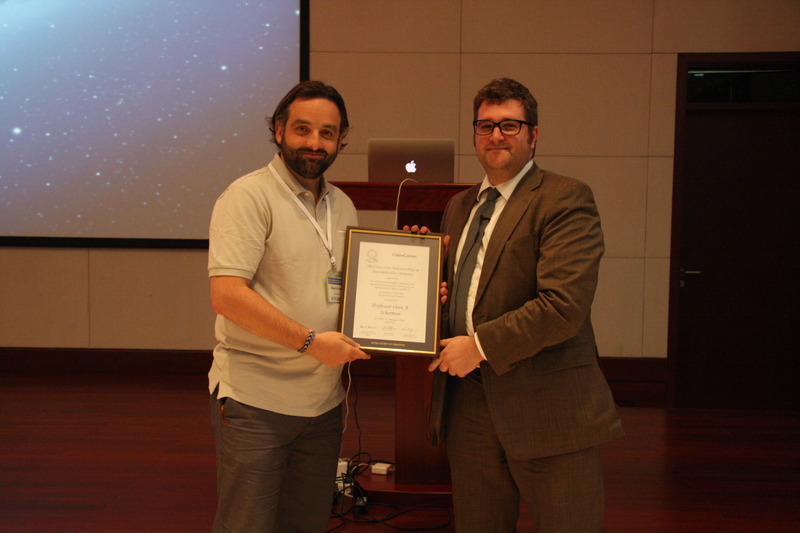 Congratulations to Dr Oren Scherman from the University of Cambridge, UK, winner of the 2014 Cram Lehn Pedersen Prize. The annual prize, named in honour of the winners of the 1987 Nobel Prize in Chemistry, recognises significant, original and independent work by emerging investigators in supramolecular chemistry. Scherman will receive a prize of £2000 and free registration for the 12th ISMSC meeting in Crystal City, Virginia. In addition to giving a lecture at ISMSC, a short lecture tour will be organised after the meeting in consultation with the Editor of Chemical Communications, the sponsor of the award. Last year, the Cram Lehn Pedersen Prize was awarded to Professor Tomoki Ogoshi, from Kanazawa University in Japan. Check out the ChemComm web collection dedicated to Polymer Self-Assembly – articles are continuously being added to this collection.